We manufacture skin care products that are formulated to be gentle to the skin yet highly effective. 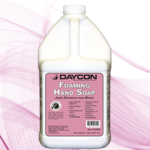 Our line of skin care cleaning solutions include hand soaps that form dense lathers and a shampoo for skin and hair cleansing. 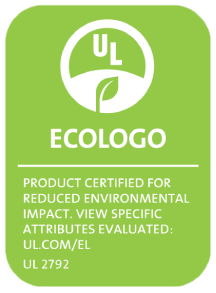 White Pearl Hand Soap is a Green Seal™ certified blend of mild cosmetic cleaning agents and skin conditioners. 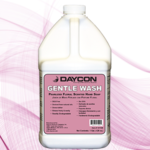 Gentle Wash is a blend of mild cosmetic cleaning agents that forms a dense lather and has a floral fragrance. 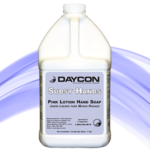 Sudsy Hands is a gentle, yet effective, hand cleansing lotion made from coconut oil with a mild sassafras scent. 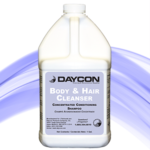 Body & Hair Cleanser is a pH-balanced conditioning shampoo for use on both skin and hair. We manufacture a wide variety of high-quality cleaning chemicals. Check out some of the other products we have to offer our partners. Check out our other chemical solutions.